Mention this offer when placing your order. Valid on Tuesday November 18th only. 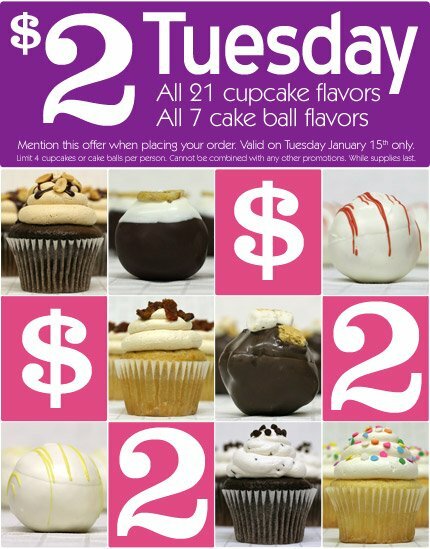 Get Baked Sale – Buy 2 cupcakes get one Free! Mention the “Get Baked Sale” and receive a FREE Cupcake when you buy 2. Two free cupcakes per person. Happy Birthday Elvis! 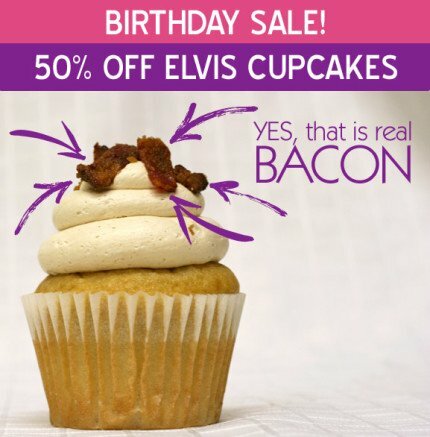 Half off Elvis Cupcakes! 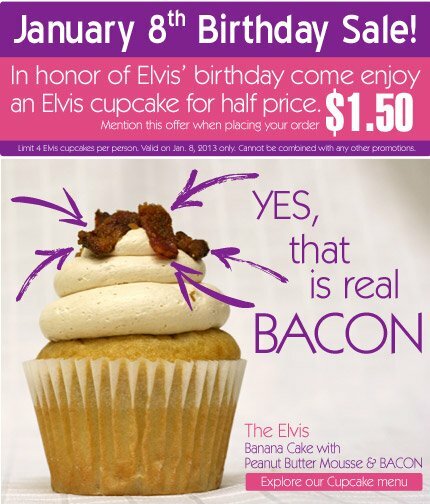 Limit 4 Elvis cupcakes per person. Valid on Jan. 8, 2013 only. Cannot be combined with any other promotions. Get Baked Sale! 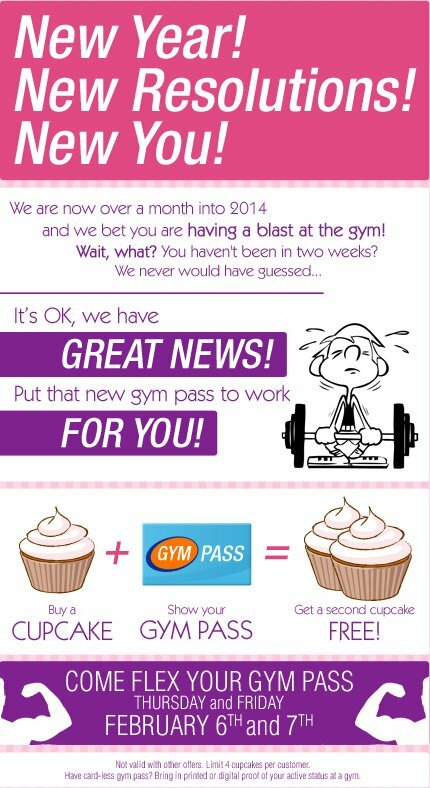 Receive a FREE Cupcake when you buy 2. Today Only! FREE Cupcake when you buy 2. No additional “ingredients” added. One free cupcake per person.